Upon arrival at Kolkata international airport meet with our representative and transfer to the hotel. Overnight stay at hotel. After breakfast city sightseeing tour of Kolkata visiting Zoological Gardens, Victoria Memorial & drive past Howrah Bridge, Dalhousie Square, Fort Williams, Secretariat Building and Old Court House Street. Later in the evening transfer to the railway station to board the train for New Jalpaiguri. Overnight stay on board. Upon arrival at NJP railway station meet with our representative and leave for Darjeeling (7,100 ft.). 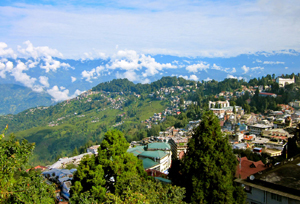 The beautiful hill station of Darjeeling is nestled among the rolling mountains with the glistening Mt Kanchenjunga towering over the azure sky. It is also regarded as the Queen of the Hills and provides a perfect gateway for those seeking to be in harmony with nature. Upon reaching Darjeeling transfer to the hotel. Rest of the day at leisure. Overnight stay at hotel. Today we will awake quite early to have the glimpse of sunrise from Tiger Hill. We will drive from the hotel around 04.00 am covering the 10 kms distance to reach the Tiger Hill. Upon reaching enjoy the panoramic views of sunrise from Mount Everest along with Kangchenjunga from the observation deck. Later return to Darjeeling, on the way back we will visit Ghoom Monastery, was built in 1857 by Lama Sherab Gyatso. The Monastery itself follows the Glug school of Tibetan Buddhism, here you will find a 15 ft high statue of future Buddha. Further return to Darjeeling via Batasia Loop. Upon arrival transfer to the hotel. after fresh-n-up have breakfast at the hotel. After the sumptuous breakfast we will have an excursion around the hill city visiting the Himalayan Mountaineering Institute. It was established in 1954 and is one of the renowned mountaineering institutes of the world. Further we will visit the P.N. Zoological Park (closed on Thursday) Tenzing Rock, Tibetan Refugee Centre (closed on Sunday), Tea Garden (outer view) and later while returning to the hotel we will also visit the Japanese Temple. Evening free at leisure. Overnight stay at hotel. 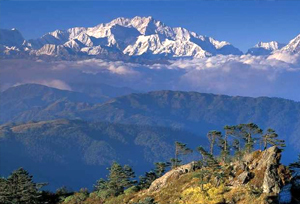 Today we will leave for Pelling, located at an altitude of 6800 ft. On arrival check into the hotel. after fresh-n-up will proceed for sightseeing around Pelling covering following places of interest Rimbi water falls, Sewaro Rock Garden, Khangchendzonga water falls, Khecheopalri lake, Darap village, Sangachoeling, Rabdentse Palace ruins, Tigjuck Viewpoint, Gayzing Bazar, Ting Ting stone, Yuksam coronation throne, Tashiding monastery, Legship’s River dam and Kirateswar mahadev Mandir. Later return to the hotel for overnight stay. Morning free at leisure. Later after breakfast we will leave for Gangtok the capital of Sikkim. Upon arrival check into the hotel. Overnight stay at hotel. 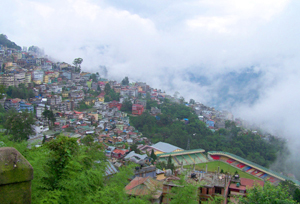 Today we will go for local city sightseeing tour of Gangtok visiting some scenic Viewpoint and a lot of monasteries. First we will drive to visit the Tashi Viewpoint followed by a visit to Ganesh Tok, Hanuman Tok, Banjhakri falls, Dro-Dul Chorten, Institute of Tibetology, Flower show and Handicraft Centre. Later return to the hotel. Evening spent leisurely walking through the shopping streets of Gangtok. Overnight stay at hotel. Today we will start our day with a quick breakfast and will go on an excursion to the most sacred lake of Sikkim - known as Tsongmo Lake. The Lake is situated at an altitude of (12400 ft), and located 40 kms far from Gangtok. The oval in shape Tsongmo is almost about 1 Km long and 15 mtrs deep. One can also visit the Baba Harbhajan Singh temple, which will be further 16 kms from the lake. Later return to Gangtok. Afternoon free at Leisure or you can enjoy shopping by own. Overnight stay at hotel. Morning free at leisure. Around early noon leave for New Jalpaiguri. Upon arrival transfer to the railway station to board the nights train for Kolkata. Overnight stay on board. 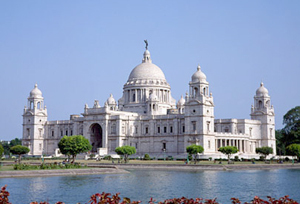 Upon arrival at Kolkata railway station, you will be met with our representative followed by transfer to the hotel. Rest of the day free to enjoy leisure in the “city of Joy”. Overnight stay at hotel.